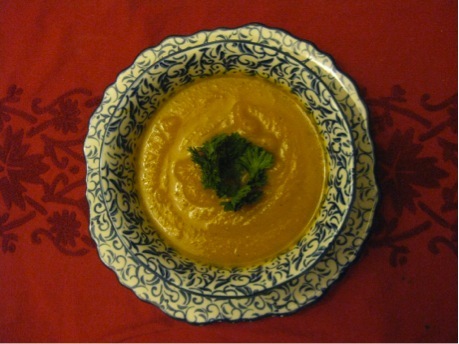 Note: this soup freezes very well and can be stretched by serving over brown rice. Let’s face it: we college kids and young professionals don’t have a lot of money. What little we have in our “food budgets” mostly goes to caffeine and…stronger substances. No matter how much we need to pinch pennies, it doesn’t mean that we need to live on ramen and white bread. You don’t need to sacrifice nutrition to taste. You CAN have both, and on the cheap! They’re so easy! Most of the work is done for you in the oven. 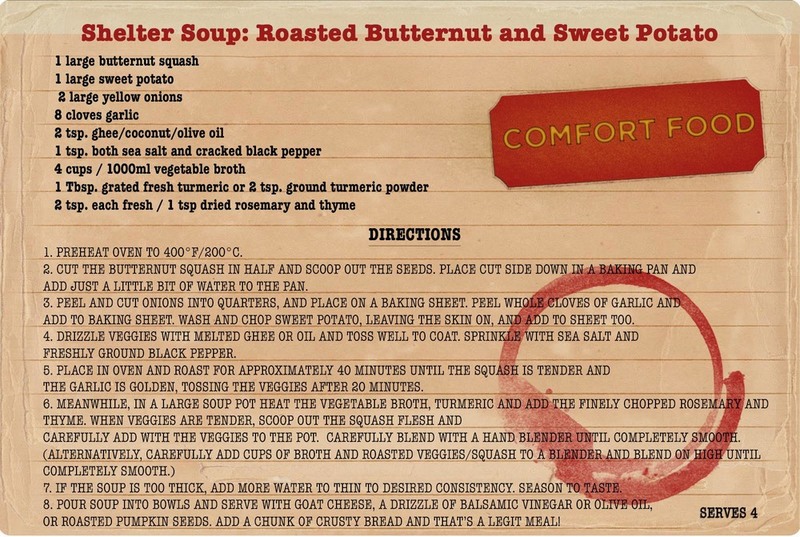 This soup begins with roasting butternut squash, sweet potatoes, onions and garlic, then basically blending it as it simmers. Few ingredients go a long way. And you can stretch it even further by adding cooked brown rice or serving with a chunk of bread. If you’re trying to impress someone, this soup is beautiful and delicious and can be gussied up by topping with goat cheese, toasted pumpkin seeds, or some balsamic vinegar. And if you’re NOT trying to impress anyone, you can eat this straight out of your last clean cup. No need to wash any bowls. And let’s face it: ain’t nobody got time for dish washing.